In support of the Memorandum of Understanding (MoU) signed between Belgium and the Emirates, VITO is participating in the Global Space Congress to strengthen its relationships. The UAE Space Agency and BELSPO have signed an MoU for the development and implementation of a mutually beneficial cooperation in the exploration and use of outer space for peaceful purposes. Both parties agree to cooperate in the domain of space research and Earth sciences. 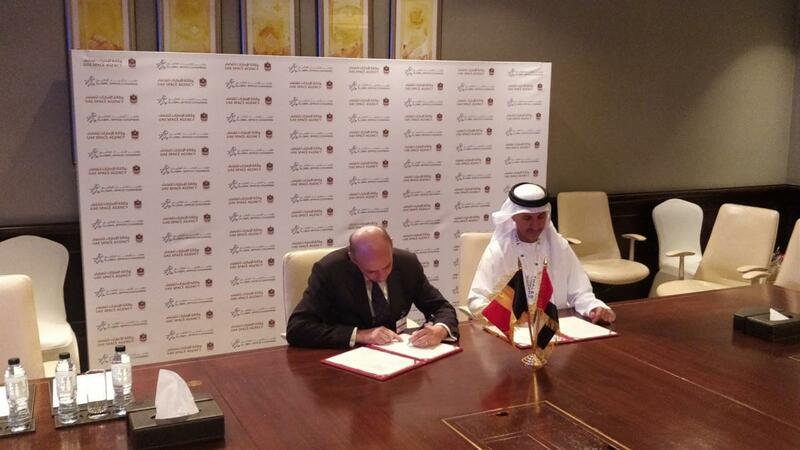 Preceding the signage of the MoU between the Emirates and Belgium, VITO and the UAE Space Agency have had regular contact to discuss concrete cooperation opportunities. In 2017 VITO, with support of ESA and Belgian Astronaut Frank De Winne, visited different UAE organisations active in space and Earth observation to see how we could collaborate more closely in the domain of space and global Earth observation. Space used to be a domain for science and public authorities, but with industry finding its way towards the data and technology available we’re moving full speed ahead towards an economy based on space assets.